Welcome to Patricia’s Opera Tours! 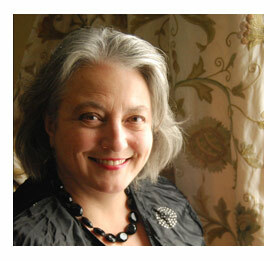 Patricia Hurley personally escorts and manages each of Patricia’s Opera Tours. Patricia invites experts in opera history and performance, art and architecture, gardens, culture and history to give talks during the tours and she invites singers to perform. Patricia was awarded the Italian honour - Cavaliere of the Order of Merit of the Republic of Italy (OMRI) for services rendered to the promotion of Italian culture in New Zealand and to the development of the New Zealand/Italian cultural relationship. After nine years as manager of the opera company in Wellington, Patricia combined her passion for opera with her passion for Italy, and set up Patricia’s Opera Tours specialising in travel to the opera and cultural icons of Europe, and to opera seasons in Australia, South America and the USA. A graduate in Italian and French language and literature, Patricia lived in Rome in the diplomatic world for four years and later, as an opera professional, she visited many of the world’s foremost opera houses. Her knowledge of Italian and French languages and her international opera contacts means she can provide experiences not available to the normal tourist or tour group. Since our first tour in 2001, Patricia’s Opera Tours have taken opera and culture lovers to many destinations throughout the world. Many happy participants have returned for further adventures!